The Hispanic population in Ohio is the 23rd largest in the nation. 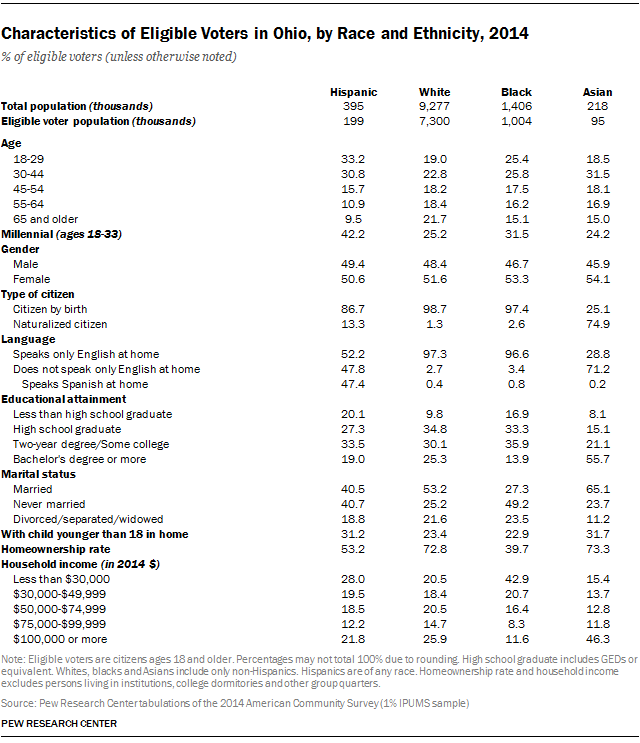 About 395,000 Hispanics reside in Ohio, 0.7% of all Hispanics in the United States. 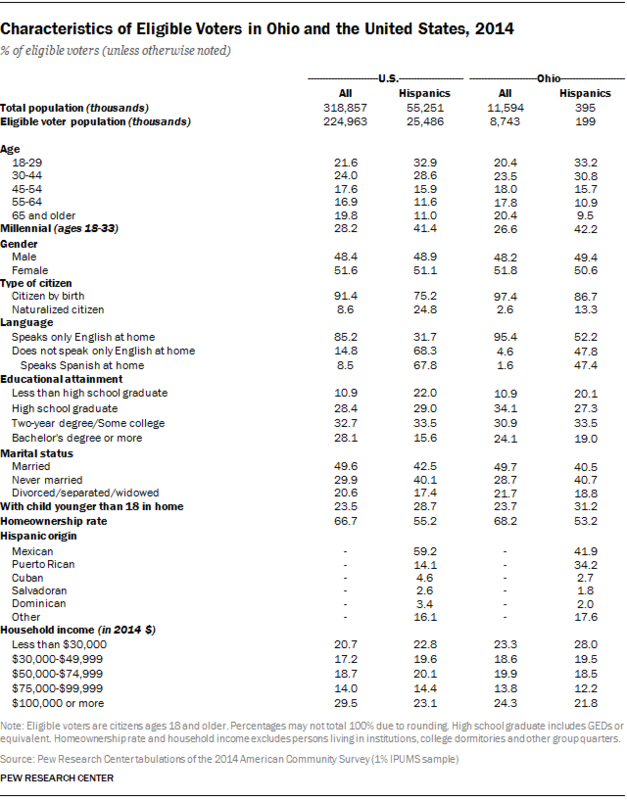 Ohio’s population is 3% Hispanic, the 42nd largest Hispanic statewide population share nationally. There are 199,000 Hispanic eligible voters in Ohio—the 19th largest Hispanic statewide eligible voter population nationally. California ranks first with 6.9 million. Some 2% of Ohio eligible voters are Hispanic, the 42nd largest Hispanic statewide eligible voter share nationally. New Mexico ranks first with 40%. 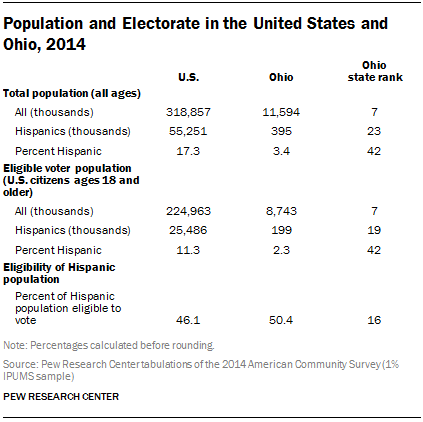 Half of Hispanics in Ohio are eligible to vote, ranking Ohio 16th nationwide in the share of the Hispanic population that is eligible to vote. By contrast, 79% of the state’s white population is eligible to vote.